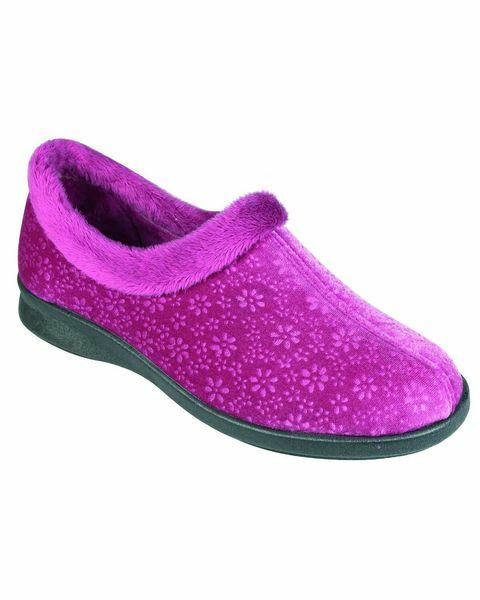 Ladies Fur Trim House Shoe, with hardwearing flexible sole. Sizes 3-8. Ladies structured and supported slip on house shoe with hardwearing flexible sole suitable for outdoor wear. Matching fur trim collar and stitch detail.